It was 95 years ago that Nancy Astor, the first female MP, gave her maiden speech; the first speech by a woman in Parliament. Nancy Astor was an, American. She was an aristocratic, controversial and witty society hostess; she was unapologetically rich and unafraid to hide her wealth. Her sharp tongue and her battles of wit with Winston Churchill, who disliked her intensely, have passed into legend. 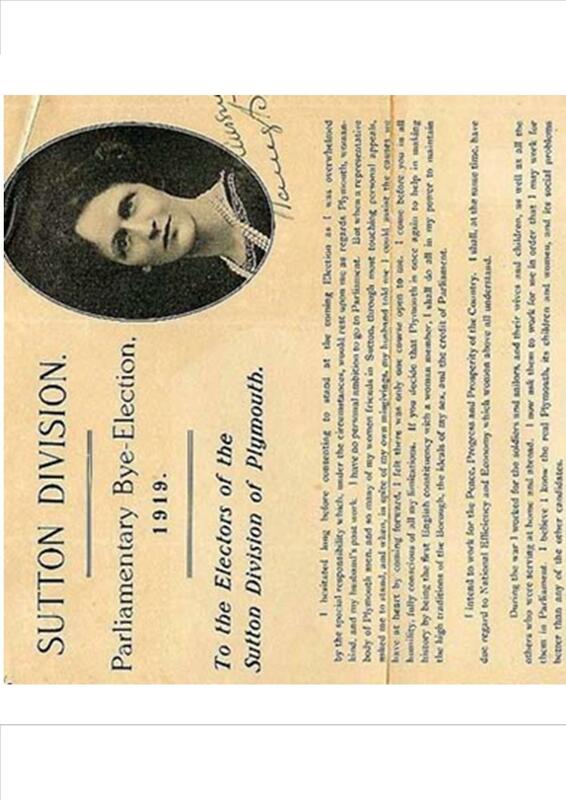 But Nancy Astor was also the first woman in parliament, elected to her husband’s seat at a by-election at Plymouth Sutton in 1919. On the death of his father Waldorf had taken his seat in the House of Lords as the 2nd Viscount Astor. Nancy had initially agreed to stand in his place on the understanding that he would extricate himself from the Lords and re-join the Commons. Letters of congratulation following her election are striking for the noticeable absence of words of encouragement or expressions of delight from members of the suffrage movement and more radical women’s organisations. Many campaigning women were outraged that a woman with no political pedigree should be the first to take her seat at Westminster. Even in her election address Nancy had stated that she had ‘no personal ambition to go to Parliament’, but had been encouraged by others to do so. But Nancy proved to have popular appeal. Nancy’s maiden speech to the house concerned abstinence; which stemmed partly from her American background, the prohibition movement and drink was seen as inextricably linked with in the abuse of women. From a personal point of view, Nancy’s first husband was reputedly an alcoholic and abusive. Her early political education and life experience led her to an enthusiasm for abstinence. She brought the Intoxicating Liquor (Sale to Persons under Eighteen) Act 1923, the first piece of legislation resulting from a private members’ bill brought by a woman MP. As a politician, Nancy saw herself as a social reformer and gave herself a feminist label. She was interested in working for the welfare of women, children and families. 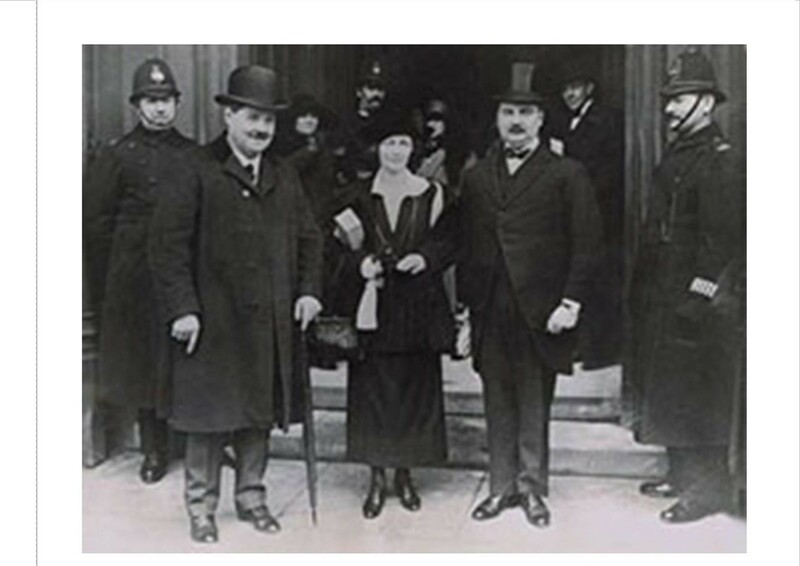 She also worked toward making public offices more accessible to women; including the setting up of the women’s police service, campaigning for female magistrates and opening up the civil service. As such she tended to work across party lines rather than following the Conservative whip. As her parliamentary career progressed she became increasingly erratic, acerbic and by the 1930s was roundly regarded as a nuisance, rarely voting with the whips and becoming difficult to manage. After Nancy and the ‘Cliveden Set’ were labelled appeasers and Nazi sympathisers by the left wing press, and following several gaffes during World War Two, there was deemed to be no room for Nancy and she was persuaded by Waldorf to reluctantly stand down in 1945. Nancy’s legacy as an MP is interesting and begs the question as to whether she would have been remembered if she had not been the first to take her seat. Nancy’s initial approach was to enter the chamber quietly; she dressed very conservatively, and worked largely within with sphere of women and the family. 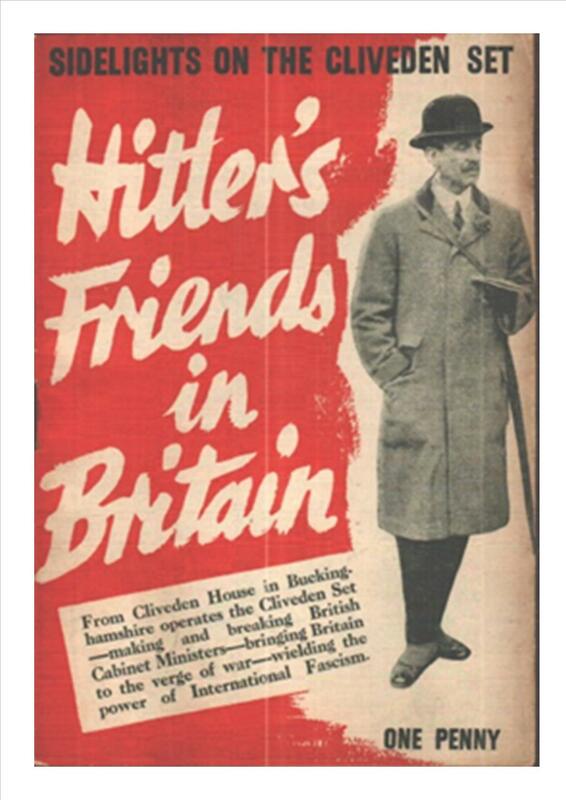 She was also the same class as many male MPs and had connections within the Establishment and in the press. She was an interesting role model for the women who came after her and many of them took their cue from her. Nancy allowed men to ‘get used’ to women and paved the way for her more firebrand and forthright sisters to follow. Arguably a more radical woman may have laid a less smooth pathway for the women who came after her. We are privileged to have the papers of both Waldorf and Nancy Astor here at the University of Reading Special Collections, along with the more recent acquisitions of her American correspondence, and the papers of two her sons: ‘Bill’, 3rd Viscount Astor and Sir John ‘Jakie’ Astor MP. Learn more about women and the struggle for political influence, including Nancy whose papers we get to handle, in the Part 2 Period ‘Rebel Girls – the influence of radical women 1792-1919’. This entry was posted in American History, Cultural History. Bookmark the permalink.